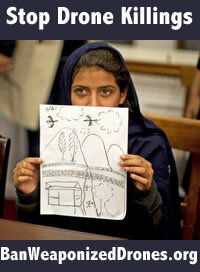 Meticulous researchers have documented that U.S. drones are killing many innocent civilians in Pakistan, Yemen and elsewhere. Drones are making the world less stable and creating new enemies. Their remoteness provides those responsible with a sense of immunity. 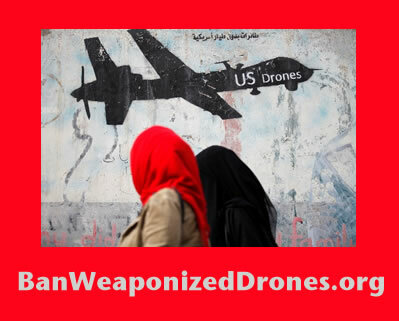 Weaponized drones are no more acceptable than land mines, cluster bombs, or chemical weapons. The world must renounce and forbid their manufacture, possession, or use. Violators must be held accountable. the Majority and Minority Leaders of the U.S. House and Senate, to ban the use or sale of weaponized drones. the governments of each of our nations around the world, to ban the use or sale of weaponized drones. Add your name now. .
Additional comments? Organizational endorsements with website of organizations? 112011 Mon Apr 22 14:53:53 EDT 2019 M. Adaline Jyurovat Boulder, CO , US Drone operators are demoralized by their jobs, likely to have PTSD in short order, and become a burden on our healthcare system. The US is a rogue state using these weapons to kill people never tried for More....a crime, and often never committed a crime. This isn't warfare. It is murder. The US creates more terrorists by its horrific actions than ever existed before 9/11. Half the world names the US as the top of the list as a terrorist state. It must be good for business. Ask Raytheon, Northrup Grumman, Lockheed, and the 20K private employees in the security agencies. 112010 Mon Apr 22 14:45:37 EDT 2019 Brian Kaminski Jackson, NJ , US Only slime balls promote and use this non honorable killing technology! 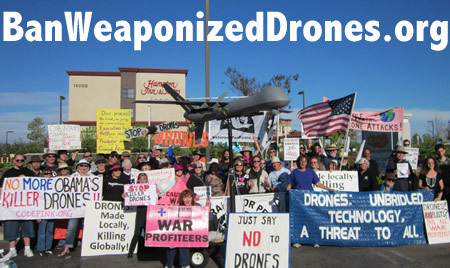 111992 Fri Apr 12 10:49:27 EDT 2019 Bob Ellenberg Gainesville, FL , US As a citizen of the United States I fully support the banning of drones that carry weapons. 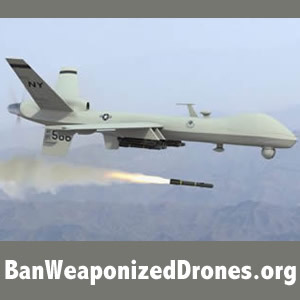 111991 Fri Apr 12 10:49:25 EDT 2019 Bob Ellenberg Gainesville, FL , US As a citizen of the United States I fully support the banning of drones that carry weapons. 111990 Fri Apr 12 10:48:38 EDT 2019 Bob Ellenberg Gainesville, FL , US As a citizen of the United States I fully support the banning of drones that carry weapons. 111989 Fri Apr 12 10:47:18 EDT 2019 Bob Ellenberg Gainesville, FL , US As a citizen of the United States I fully support the banning of drones that carry weapons. By taking action you will be automatically signed up for action alerts from Roots Action. We consider your contact information to be private and confidential. We will NOT disclose it to any other entity unless you specifically authorize us to do so. You can unsubscribe at the bottom of any email you receive from us. Despite your enthusiasm, please do not sign more than once. We remove duplicates in order to maintain an accurate count of signers. Instead, please ask your friends to sign. First 80,000 signers as a PDF. To sign on as an organization, contact us. 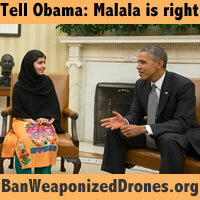 Get your city, town, county, or state to oppose drones. Get shirts, cups, stickers, and other gear!